What makes you stand out against everyone else? 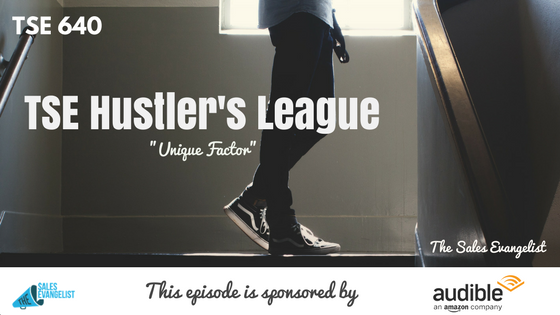 Today’s snippet taken from our previous episodes at the TSE Hustler’s League is about how you can have that differentiating factor. In the last situation where you lost the deal, were you pushing the product or were you pushing a solution? 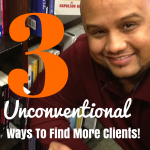 We have all heard this term before, the USP (Unique Selling Proposition). It doesn’t necessarily mean it’s the killer. Some people even confuse it as their one-hit-wonder that if you have a unique selling proposition, everyone will then be able to choose your product or service. You may have a USP but that doesn’t necessarily mean that’s the solution to the customer’s problem. The USP will help you get the date but it doesn’t mean it’s going to help you get married. It may help you get the prospect’s attention. But it doesn’t mean it will help you close the deal at the end. A majority of sales reps and entrepreneurs go on with the USP. But oftentimes, the USP sounds a lot like everybody else. This is not what’s going to generate you any money. Seller differentiates the product or service from the others. As a sales rep, your job is to create that credibility but also, create a differentiating factor through the product and service by understanding the needs of the client before you start pitching. Differentiate in the right areas by tailoring your conversations and tailoring your selling and demonstrate what you preach in the sales process.